Conventional wisdom holds that America has been a Christian nation since the Founding Fathers. 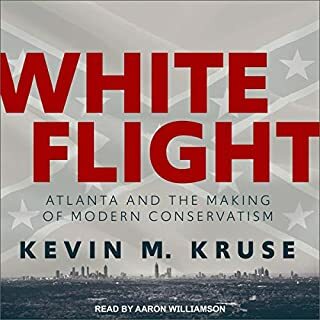 But in One Nation Under God, historian Kevin M. Kruse argues that the idea of "Christian America" is nothing more than a myth - and a relatively recent one at that. The assumption that America was, is, and always will be a Christian nation dates back no further than the 1930s, when a coalition of businessmen and religious leaders united in opposition to FDR's New Deal. With the full support of Dwight Eisenhower in the 1950s, these activists - the forerunners of the Religious Right - propelled religion into the public sphere. Church membership skyrocketed; Congress added the phrase "under God" to the Pledge of Allegiance and made "In God We Trust" the country's official motto. For the first time, America became a thoroughly religious nation. Provocative and authoritative, One Nation Under God reveals how the comingling of money, religion, and politics created a false origin story that continues to define and divide American politics today. ©2015 Kevin M. Kruse (P)2015 Brilliance Audio, all rights reserved. Fascinating book well worth reading. As a practicing Christian and a republican I have a long wondered how the party of limited government became the party of big government when it comes to religion. This book is the story of how this occurred. The book is well written and far from being the cure for insomnia. The narrator is also excellent with his intonation and impersonations. For further background I would suggest God of Liberty: by Thomas S Kidd. This book fills in the historical gaps and is also excellent. Fascinating history of the political polarization fostered by corporate resistance to "the welfare state" through the co-opting of the religious right. Discouraging but revealing. A little too detailed. This book talks about three connections in life and what happens when you try and braid these connection lines into a unified rope. The first connection is faith. Faith is what we feel is that line that goes from our soul to God whether it is by way of the Moses, Jesus, Mohammed or rational ethics. The second line is patriotism - loyalty. It is that line of loyalty that extends from the individual citizen through the family, village, city, township, county, state and ending with the national government. It is what binds us together for mutual protection and benefit with the expectation of fairness and justice under the law. The third line is our possessive view of property - wealth. Whether it be our business, our land, our material possessions, or our money we feel a possessive line of ownership connection with it. Whenever these three lines intersect there can be friction if they rub against one another or there can be a binding power if they are joined braided together. The founders wisely believed one should not weave faith into government as ones man’s faith is another man’s oppression. Which variety of faith should one weave into government, if any? This book takes a look at what happens when political leaders and business interest alike find common cause with this or that specific faith and attempt to weave it into government to strengthen their control over government and to subjugate decent as not only wrong but immoral. Part one of the book picks up at the collapse of the economic system in 1929. F. D. Roosevelt was elected to change course and get the country moving again. There were plenty of people willing and able to work but no jobs in large sectors of the economy. In a twinkling of an eye lifetimes of savings invested in the market on margin were wiped out. Banks wheeled trying to provide frightened depositors with cash. Credit vanished and the system seized-up. Roosevelt got the system moving again through government spending. The line of loyalty/patriotism cut across the line of property/wealth to finance the restart. Roosevelt also wrapped the bitter pill of investment coupled with charity in the religious language of social & Biblical responsibility of caring for the poor. From the conservative property owning class view point, the taxes that made the new deal possible was not charity. It was nothing short of theft! Adding insult to injury, to be lectured to by St. Roosevelt about Christian duty to care for the poor was nothing short of infuriating. Roosevelt was clearly wrapping the line of religious faith’s duty to help the poor around loyalty/patriotism line to justify his tax policy impacting property/wealth. Part two of the book is about how the conservative propertied class’s found and promoted their salvation from Roosevelt social Gospel in the Evangelist Gospel of self-reliance, married it with patriotic pride, and sent it forth to preach the word of, “God rewards the just and good among you in this life, as well as the next.” The message was charity for the poor and the widowed is a good thing, however, it is a job for privet action through their individual churches and not through a government programs which are the road to Communism. In short the line of property/wealth funded a philosophically friendly line of faith that attempted to braid this evangelist brand-of-faith into the line of patriotism/loyalty to restrain government from exorcising the social Gospel as policy. This new alliance elected legislatures interested more in putting, “In God We Trust” on our money and inserting, “under God” in our pledge of allegiance, differentiating ourselves from the godless Communist, than legislating for any solution that would use government to address public social ills as a public good. The toxic dance here is when money is provided to, “God rewards you” friendly evangelists to slice and dice the Gospel to reflect the donors’ views of taxes for social good as theft and not government’s proper function. Clothed in religious respectability, the gospel of greed approving wealth, made it respectable to cast the poor and needy as shiftless, lazy, and unworthy of God’s grace other than to pray for them to repent and get-a-job. Part three discusses the conflict that occurred when the Supreme Court (SC) issued two decisions to enforce separation of church from state which had mandated worship and the backlash to those decisions. The SC rulings banning prayer composed by the state was in “Engel v. Vitale” in 1962 and the decision banning mandated Bible reading in schools was in “Abington School District v. Schempp” in 1963. The SC faced with the question of, “Whose religious tradition they should allow government to endorse and require?” answered resoundingly NONE! The backlash to the decisions was a drive for a constitutional amendment to reverse the Engel and Schempp decisions. The first to propose an amendment was Representative Becker. The pro-(Becker)-amendment side wanted to establish firmly their liberty came from God not the state. The anti-(Becker)-amendment side argued that if the state chose a particular religion point-of-view it would water down and strip all religion of its diversity and vitality. In the conflict the center realized that religion was becoming a source of dis-union of faith rather than uniting the people under God. Churches saw danger of their sect being marginalized and came out opposing the Becker amendment. Ultimately the amendment failed. The last gasp to amend the constitution movement was proposed by Senator Evert Dirksen in 1966 in the Dirksen amendment. Dirksen suggested church leaders do not speak for their congregants. He eventually got his amendment to the Senate floor but it ultimately failed as did a sense-of-the-Senate resolution to allow silent meditation in the schools. Conservative Christians went away from this battle with the impression that their leadership did not represent them. Centrist Christians rejoiced that their faith had not been co-opted in service to mammon. Dirksen had utterly failed in his claim that church leaders were unrepresentative of their flock. 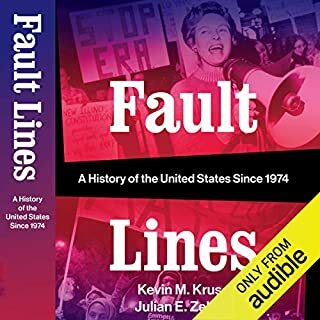 The book then returns to the theme of political leaders seeking to braid the patriotism/loyalty line with the faith line for support against their political opponent(s). It was the 70’s and the Vietnam was the all-consuming issue. A grass-roots movement started with banners proclaiming, “One Nation under God”. The anti-war movement opposed the marriage of faith in God and patriotism. Billy Gram endorsing Richard Nixon and the silent majority represented the blending of religious belief and patriotism in support of the Vietnam War effort. Nixon one upped the association by dressing his administration in both patriotism and used conservative clergy to preach at privet religious services in the east room of the white house. At the refreshments after services Nixon would lobby congressmen that might vote his way and rich business men with strong religious belief were also invited to these services. Nixon was attempting to wind the line of patriotism/loyalty around faith to strengthen his position and silence opposition to the war. The press began to mock this blend of church and state as an attempt to establish a pseudo-state-religion. America campuses erupted after the deaths at Kent State and Jackson State when 75,000 students besieged the capital ellipse. Nixon responded to this by attending a friendly audience revival sponsored by Billy Gram of conservative Tennessee adults and students in Nashville. Next his administration organized a Fourth-of-July celebration entitled Honor America at the capital that brought out 300,000 of his silent majority American’s; this was opposed by a small hand full of hippies. Publicity the event was a success. However, history shows that Nixon was unworthy of anointing by religion. The two forces had simply used one another. The epilogue picks up with Ronald Reagan surpassing the two previous presidents who combined patriotism/loyalty and religious faith. The book points out that both Ike Eisenhower and Richard Nixon had created a space and made a public show of including clergy in semiofficial governmental demonstrations of faith an acceptable practice. Reagan with his acting talents not only appeared in his elected role of commander-and-chief but upstaged the likes of Billie Gram to become pastor-and-chief by invoking God’s protection for the nation on many occasions. The amazing thing is he was such a well-loved actor and personality that few if any objected to the presidency expanding its functions to include chief-prayer-leader stopping just short supreme-clergy. It was, after all, just Reaganbeing Reagan. He did have a wonderful sense of his audience and just how far he could go before he lost them. Had he not it would have backfired. The rest of the epilogue brings us up to the present date with George Bush, the Christian Coalition, the Faith Based Initiative that fizzled after 9/11, Pat Robinson, Robert Schuller, and Bill Clinton. The narrative ends with Obama embracing religious rights political rhetoric while separating himself from the Reverend Wright “Hell fire and damnation” approach. Finally, there was Mitt Romney who the religious right supported while openly wondering if he is a true right kind of Christian? The author believes that religious nomenclature is here to stay in politics. However, the author note’s that religious belief is not monolithic and breaks down along the “right-kind-of-Christians” and those that embrace the social Gospel of Roosevelt. REVIEWER OBSERVATIONS & RECOMMENDATION: I found it festinating to learn that “In God We Trust” was not always on our money and has come to supplant the more obscure “E Pluribus Unum” official motto that dates back to 1776. Similarly to find that that “One Nation ‘under God’” was not always part of our Pledge of Allegiance; in fact there was no official Pledge of Allegiance until 1942. The “under God” part was inserted in 1954. All of this tampering with our public motto’s and pledges came about as a result of an attempt to define ourselves differently and apart from godless Communist. With the USSR collapse and capitalism triumphant it seems foolish to have been tempted into mucking about with official solemnization. I take the author’s word that before 1929 public citations of “God” or the “All Mighty” in political discourse was motivated only by the individual politician’s personal faith and not some coalition or pressure group. However, the more likely scenario is that religious pressure groups were limited to small town congregations as opposed to nationwide organized Christian revivalist crusaders with a specific political agenda. Mass organization and super churches came in with mass communication. I highly recommend this book if only to make you aware of being manipulated by something calling itself religion that is in fact in service to mammon. Religion (your personal relationship with God) is an automatic reaction that if poked will provoke a reaction. The devil is in the details as to just who these political and organizational missionaries represent “God” or “Mammon”. It is everyone’s duty to know just who we are casting our lot with. Jeff Commings is a workhorse Audible narrator with 81 books to his credit as of this review. He has a pleasant voice that is easy on the ear as the hours pass by. He does have good inflection and diction as well as a pleasing tone that is well modulated. I do not argue with his success. Well done and good narrator. This book looks at the how America got "In God We Trust" on our coins and "Under God" in the pledge of allegiance during the 50s. The common wisdom of today is that it was mostly a reaction to the spread of 'atheistic' communism. As is usually the case, the common wisdom is wrong and only tells a part of the story. A good history of a subject looks at all the nuances, moving parts and complexity of the times before showing how the common wisdom has gotten it wrong. This book does just that. The author's major thesis that he lays out in this book is that the corporations needed allies in their fight against Roosevelt's New Deal policies and realized that Christian Americans would be a perfect ally. The religious saw the government as a threat to "Freedom Under God" and this led to "Christian Libertarians". The author looks at all the moving pieces and how they interacted primarily through out the 1950s and into the mid 60s. We came really close to having a constitutional amendment allowing for official sanctioned prayers in government building and schools. Billy Graham seems to be wrong about everything. From Graham telling us "there were no labor unions or strikes in the Garden of Eden", but there was a talking snake to his fervently desiring forced prayers within schools and steadfastly standing with Nixon. The Unitarians seemed to be right about everything and keep popping up through out the story on the correct side of history. 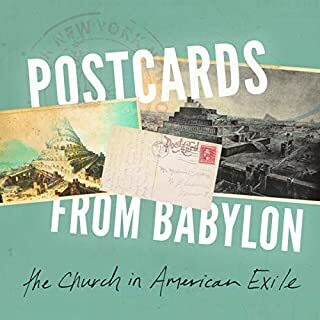 Overall the book makes for a good story and is well worth a listen to learn a more nuanced telling of history for a period of time when religion tried to rule our lives and did not respect the secular. Why our BS meter should always be at full alert. 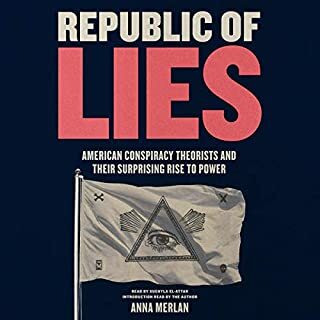 This book describes in detail,with substantiated facts,how and why,the major corporations of our country are using religion and patriotism to steer our nation towards austerity and poverty for he vast majority of our population. Yes,that means you,And me,and our kids. Pal ease vote responsively. If you could sum up One Nation Under God in three words, what would they be? The title does not really match the thesis. This is more the history of religion and politics and religion in America in the 50s and 60s. The book does begin with the New Deal and how Corporations attempted to conflate religion and politics, but that story does not really tie in with the rest of the book. This was very well sourced with many amazing quotes. The narrator, whenever quoting anyone, sounded very sarcastic. He attempted to do some impressions and voices and it just came off as snide. It was eye opening. A lot of stuff I had a very broad view of before but this really gave a lot of support and detail to what I understood. What promised to be a critical evaluation of the how corporate America invented Christian America turned out to be undiluted praise for the process. The narrator may have profoundly changed the heard meaning of the book with his unvarnished enthusiasm as he read how prominent businessmen and captains of industry succeeded in conflating "freedom under God" with free enterprise. 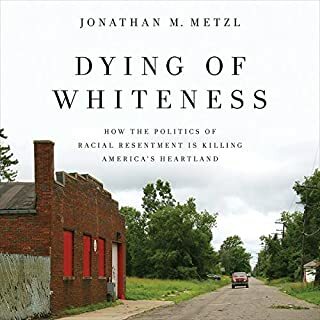 He succeeded in making the book sound like an unapologetic promotion for the development of the current Christian evangelical far right. I don't understand why the author chose a title that implies critical evaluation when the book sounds like a promotion of the historical movement he proposes to criticize. 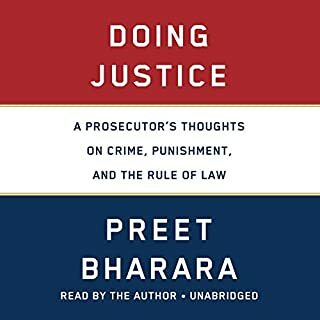 It's possible that if one read the book instead of listening to this narrator, one might gain a different impression of the book, but it's impossible not to hear the bias and intent of this narrator. Myth bisting on a grand scale. 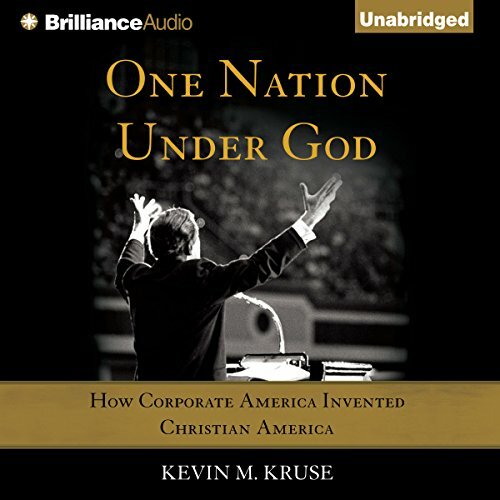 This is a book that tells the m history of how corporate leaders agenda false ministers created the myth that America is a Christian nation as a scheme to undercut Roosevelt's reforms. Very frustrating. How stupid congress can be when they smell a few votes. Also thinking about the slimy relationship between Nixon and Billy Graham. It makes me very sad and explains a lot today. Yes, a good read for all Americans to understand the history behind much of the Christian nation propaganda in the right wing media today. The book focuses on recounting historical events from the 1930s to the 1980s. The substance of the narrative is fact based and not subjective. It was amazing to realize how much of the Christian conservative movement's message today is a repeat of the 1950s.